JAKARTA, -- The Leonardo AW101 is a medium-lift helicopter used by both military and civil operators Worldwide. It was developed in the 1980s, a joint venture between Westland Helicopter UK and Agusta, Italy in response to National requirements for a modern naval utility helicopter. The AW101 has developed into a milti role platform. Prior to 2007, the aircraft had been marketed under designation EH101. The original designation was EH101 but a transcription error of a handwritten note changed this to EH101 and the designation stuck. In 2000, Westland Helicpters and Agusta merged to form AgustaWestland leading to the type's re designation as AW101. The AW101 first flew in 1987, and entered into service in 1999. Since the AW101's introduction, it has replaced several older helicopter types, such as the Sikorsky S-61 performing roles such as medium-sized transport, anti Submarine Warfare, and ship-based utility operating. 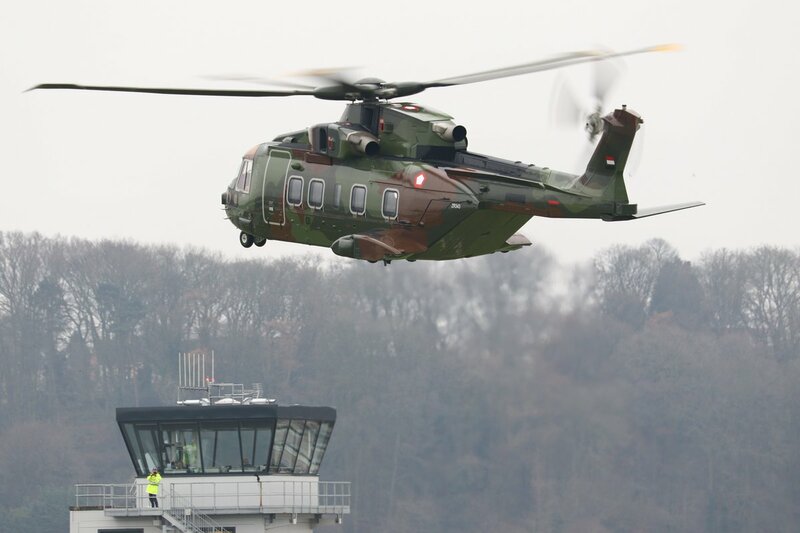 The AW 101 continues to adopt and develop. The latest upgrade being to HC4 standard for the Royal Navy. This include a folding tail rotor and should enter service by 2018. C/N 50248 ZR343 for Indonesia, 1st flight with Westland 07 at the controls. Part of the Indian complement that fell through, then converted to AW101 VVIP for In house work with Westland. The Republic of Indonesian Air Force ordered 3 AgustaWestland AW101 medium-lift transport / Utility helicopter.